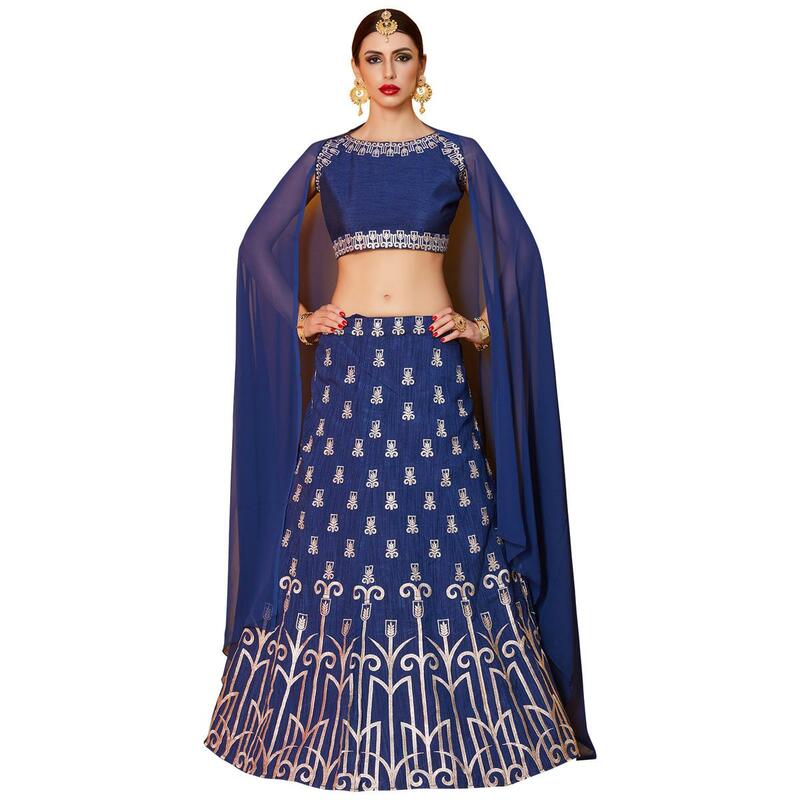 Be an angel and create and establish a smashing influence on anyone by wearing this stunning blue colored lehenga choli. 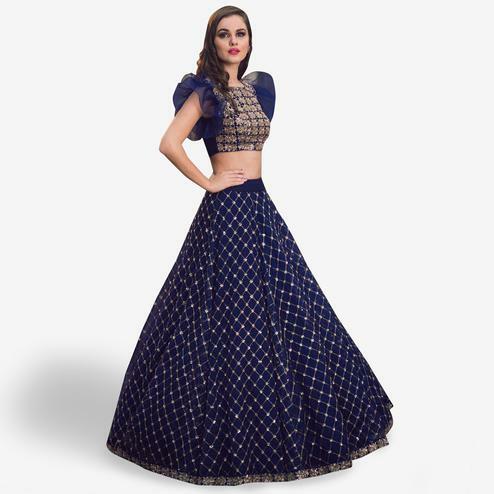 This semi-stitched lehenga is beautified with thread embroidery on art silk fabric. 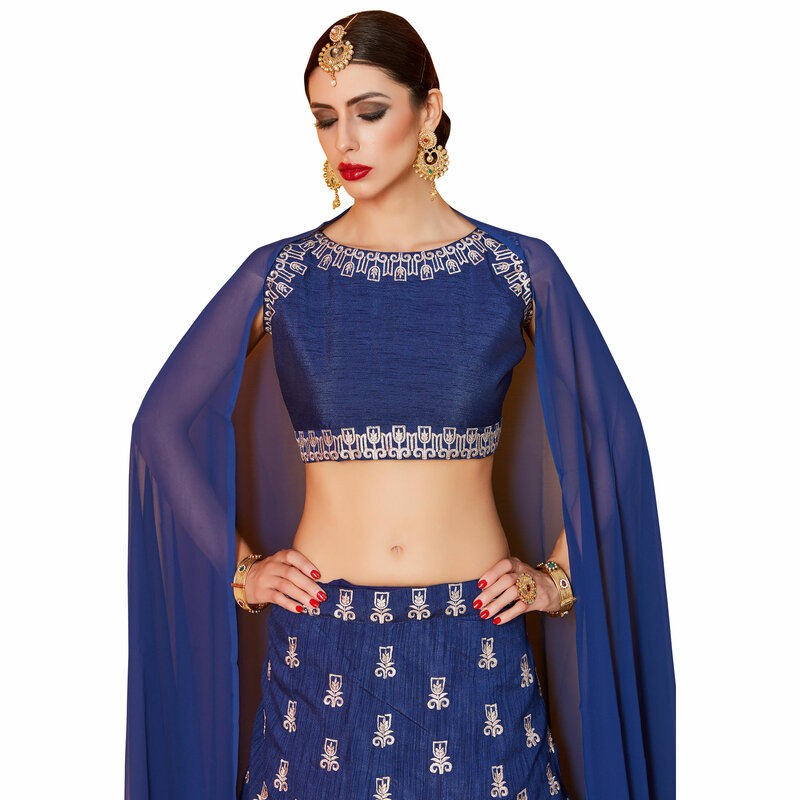 Comes along with unstitched embroidery art silk choli and soft netted lace dupatta that gives a flawless look. 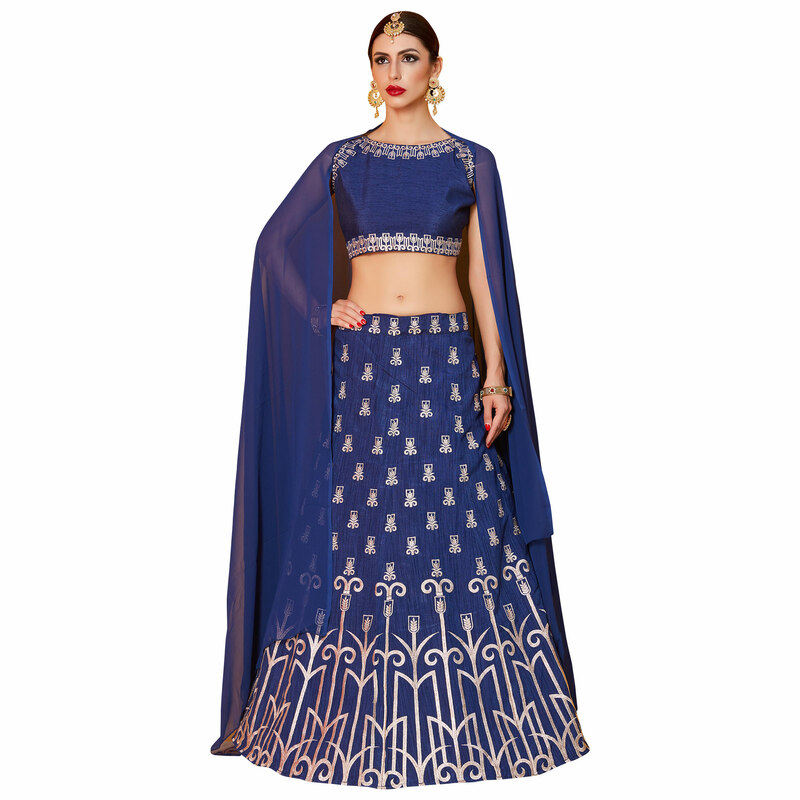 Specially designed to wear for wedding functions, engagement ceremonies and special occasions. 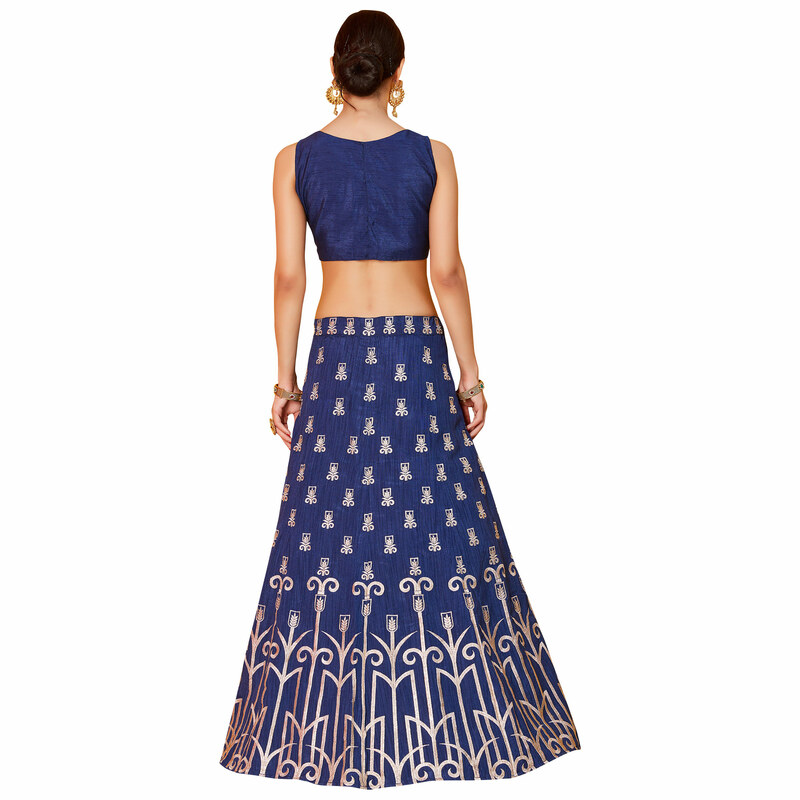 Teaming this dress with classy jewelry would be an added attraction.